We’ve finally launched Stitch It! on Android, after building a base of about 400,000 users on the iOS platform! Stitch It! 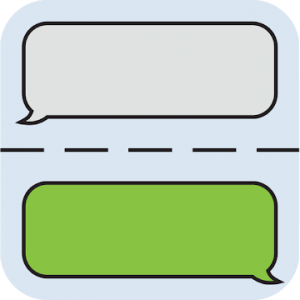 allows you to create one seamless image of a text message conversation so that you can share it via WhatsApp, email, Facebook, Twitter, Reddit, Tumblr, or anywhere else in the series of tubes that is the webernet machine. – SHARE with the world using our many sharing options! – All sound FX made with Jacob’s mouth! Cameron added a ‘disable’ feature. Let us know what you’d like to see in our first update!